Joanne Bowen, D.C. is a chiropractor, who graduated in 1987 from Logan College of Chiropractic in Chesterfield, MO after first having earned a Bachelor of Science in Human Biology. She initially practiced in Rochester, NY and then relocated to serve patients in Weedsport, NY for 10 years. She and her husband live in Onondaga County and now have two grown children. Dr. Bowen is dedicated to helping patients relieve pain and heal injuries. She is an expert at detecting and correcting spinal misalignment and musculo-skeletal dysfunction. Understanding chiropractic philosophy, she works to correct the source of the painful condition using gentle, effective, manual treatments. She also instructs patients to use proper exercise techniques to strengthen problem areas and offers nutritional advice to promote healing. Dr. Rall is a graduate of New York Chiropractic College (NYCC). He grew up in Syracuse and attended Onondaga Community College where he studied Music and Math & Science before enrolling at NYCC. While in school, he had the opportunity to treat patients in a variety of clinical settings including the Rochester VA Hospital, Elmira Pioneers Baseball Team, Hobart and William Smith College Athletics as well as the Boilermaker Road Race and Ironman 70.3 Syracuse. 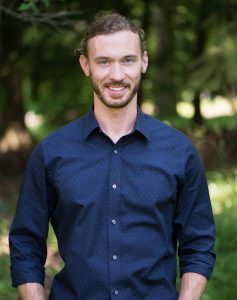 During his time in chiropractic school, Dr. Rall focused his studies on human movement and rehab which inspired a functional approach combining chiropractic manipulation, rehabilitative exercise and various soft tissue therapies to correct underlying dysfunctions and help his patients get back to doing what they love. He was an active member of the Rehab 2 Performance and Motion Palpation clubs and continues to pursue additional education in evidenced-based care, functional movement and rehab. Dr. Rall holds certifications with Motion Palpation Institute, Athletic Movement Assessment, Fascial and Kinetic Treatment with Rehab (FAKTR), ConnecTX Soft Tissue Therapy, and an Advanced Certificate in Whole Food Nutrition. He’s passionate about living a healthy lifestyle through physical activity and a nutrient-dense diet and is looking forward to helping you feel and perform better!